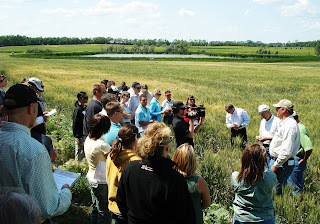 The annual AdFarm farm tour came to Griggs Dakota yesterday. Many agreed, "It was the best tour ever." 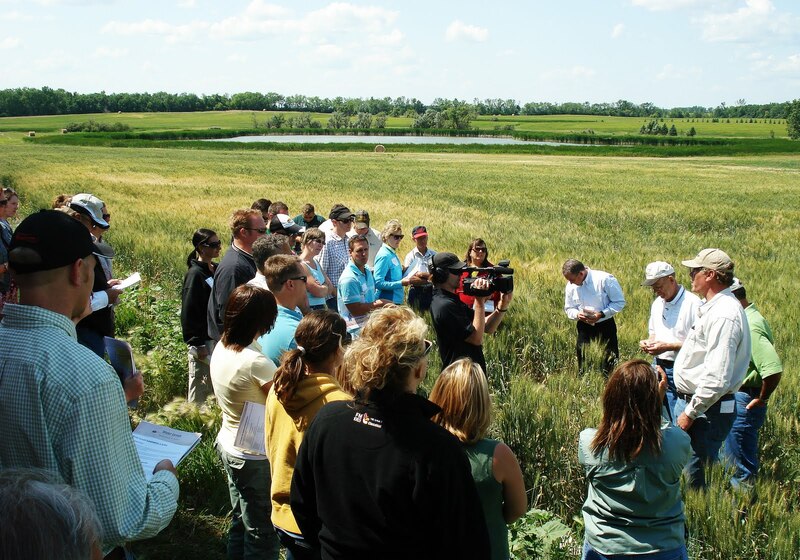 Above: More than sixty visitors attended the farm tour. 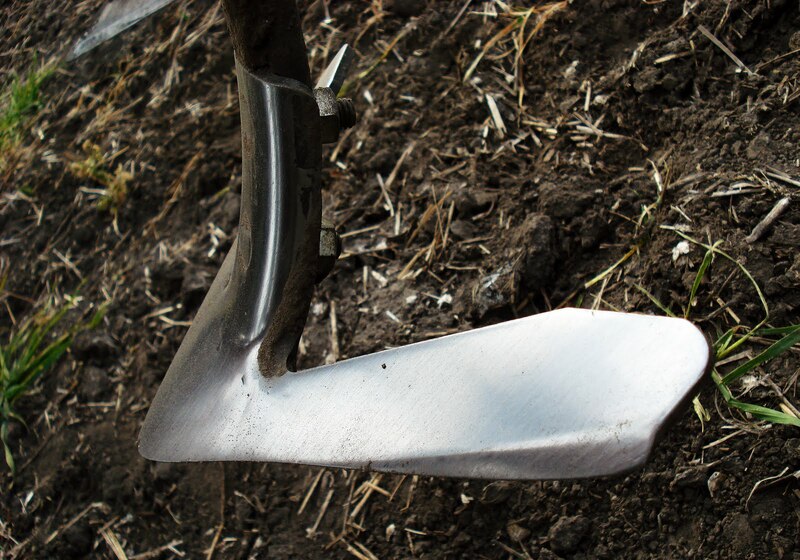 Most were AdFarm employees. 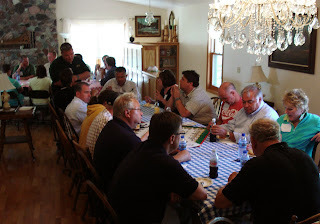 Others included agriculture professionals, journalists and friends. 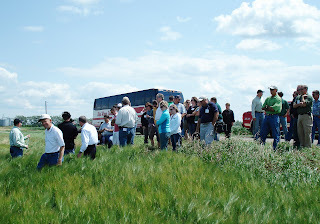 Note the tour bus in the background. It's not very often we have a charter bus in Griggs Dakota! 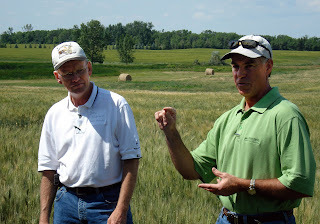 Above: Al Slater from Busch starts the tour with a fascinating talk on malting barley. 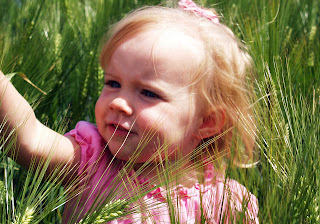 Above: Niece Elissa loves standing in the barley field. The beards tickle her nose. 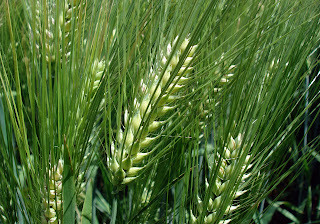 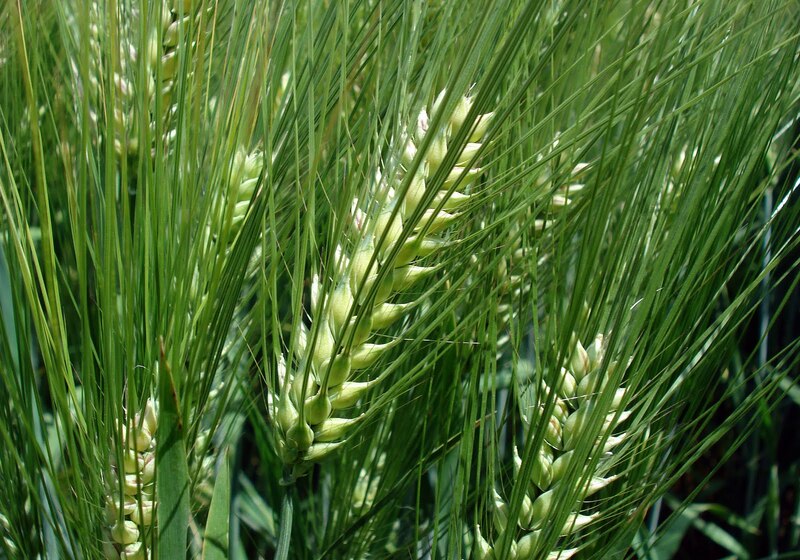 Above: The cool season has been ideal for barley development. According to Al, this field should be ready to harvest in two weeks. Above: Bob Joerger from Monsanto talks about improvements in corn genetics at the corn test plot. 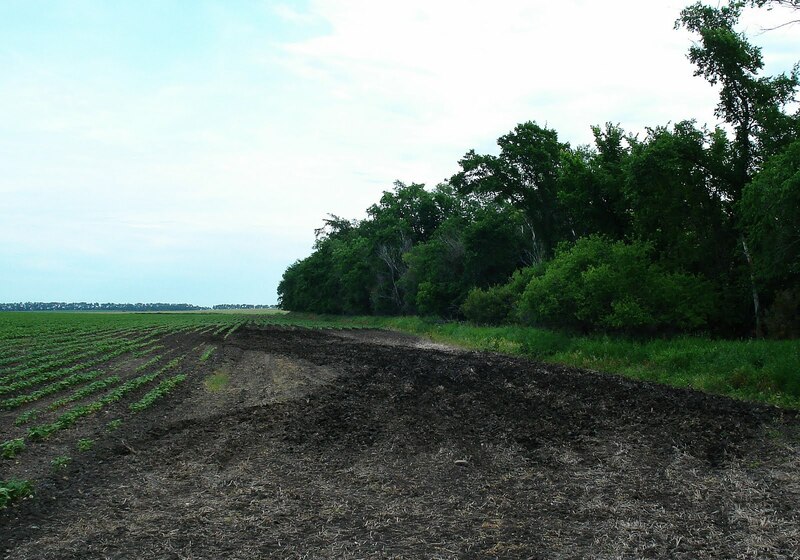 Above: Corn is a warm season crop. 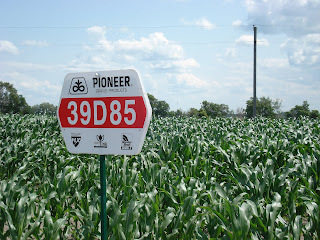 Our corn is short and behind schedule because of the cool summer. 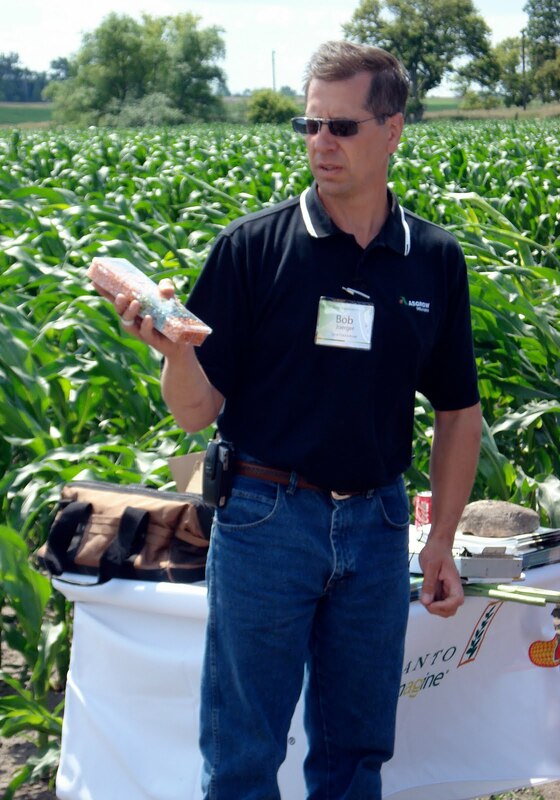 We need rain, heat and a later-than-normal frost this fall for this corn to make it to maturity. Above: At each stop, the group gathers to listen to our featured speakers. 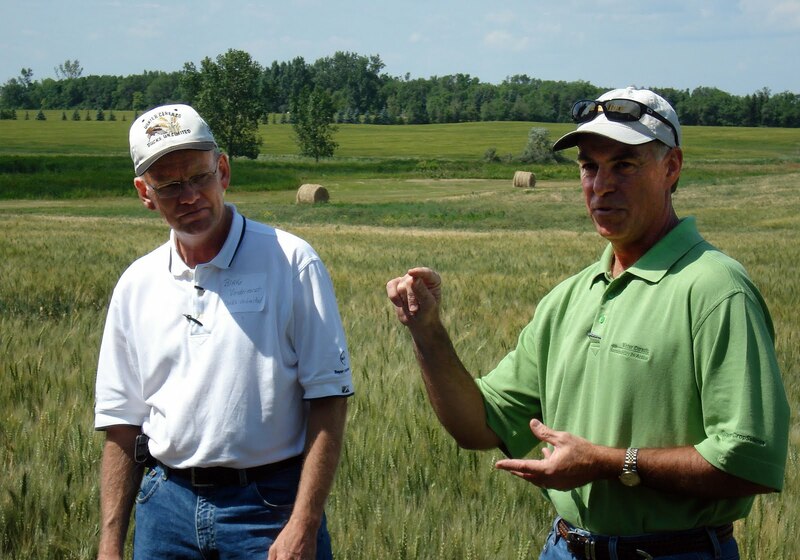 Above: Blake Vander Vorst, agronomist for Ducks Unlimited (left), and Mark Haugland of Bayer Crop Science (right) share perspectives on the benefits of growing winter wheat. Bayer and Ducks Unlimited are cooperating with NDSU, University of Minnesota, and SDSU to develop cold-tolerant winter wheat varieties appropriate for the northern plains. 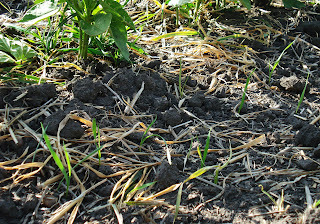 Above: The winter wheat is progressing. Harvest is still a few weeks away. 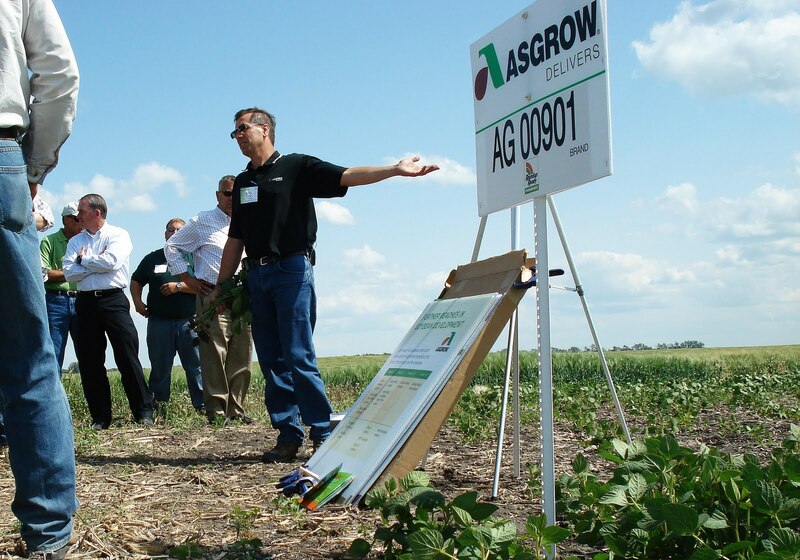 Above: Bob Joerger discusses Asgrow 00901 seed soybeans. 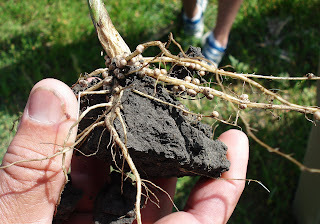 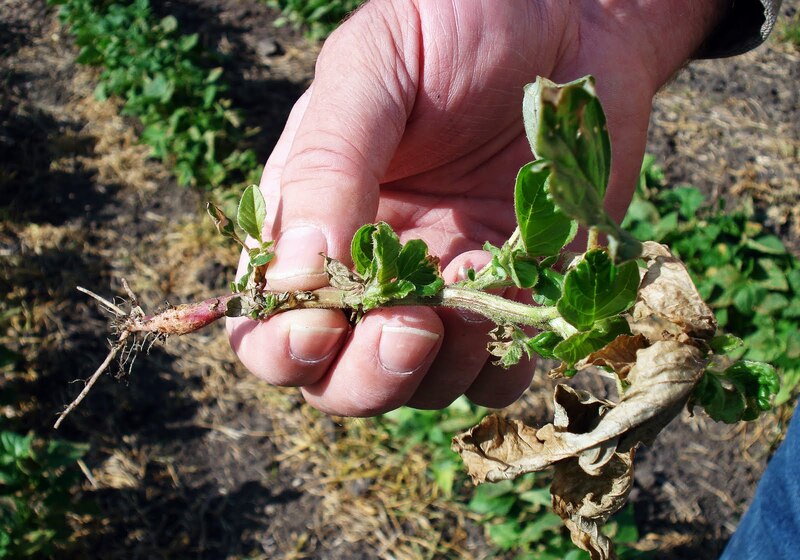 Above: The small balls on the root of soybean plants are nitrogen nodules. The nodules convert nitrogen from the air into nitrogen the plant can use. 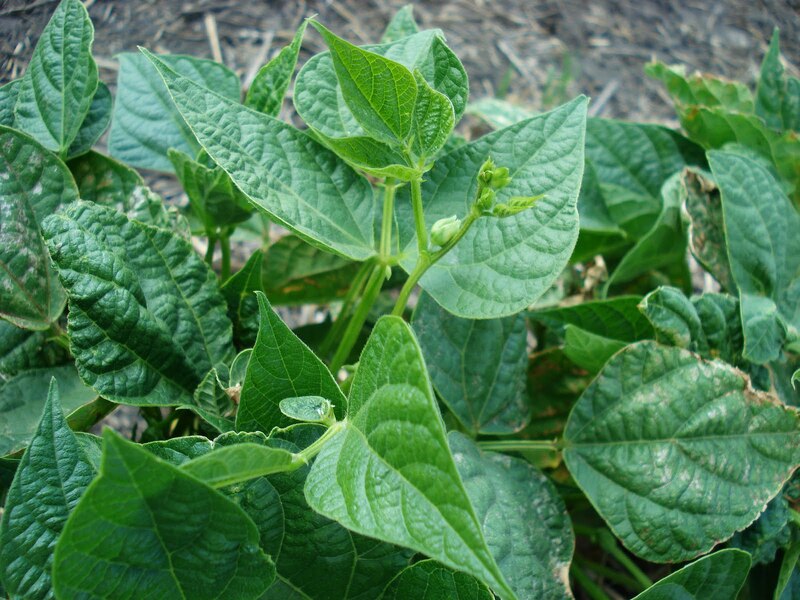 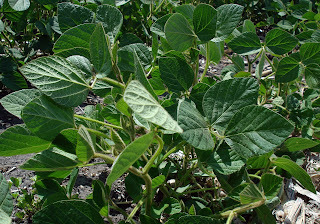 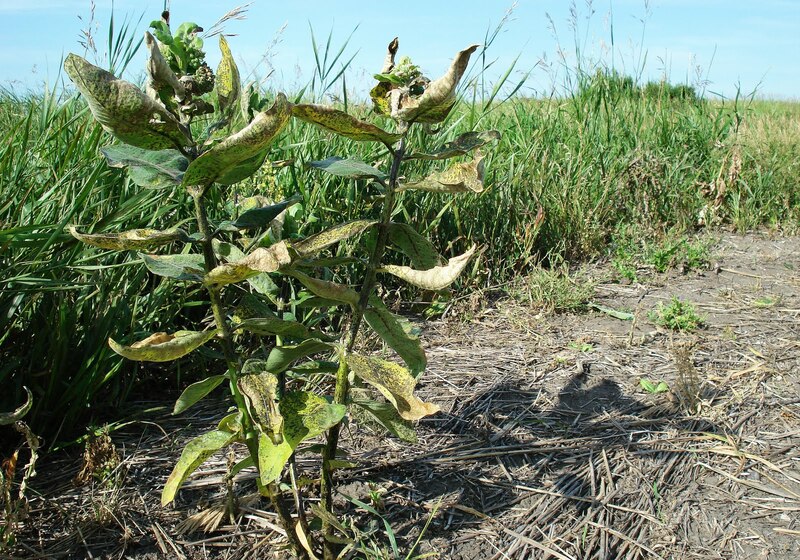 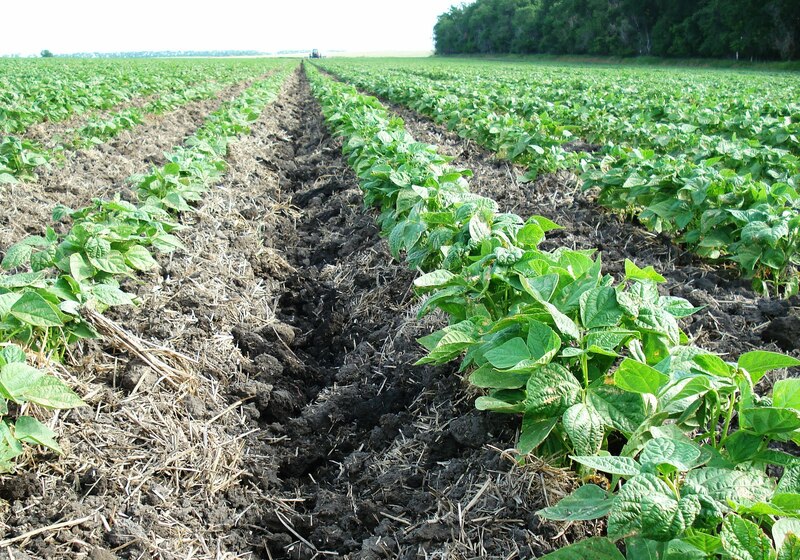 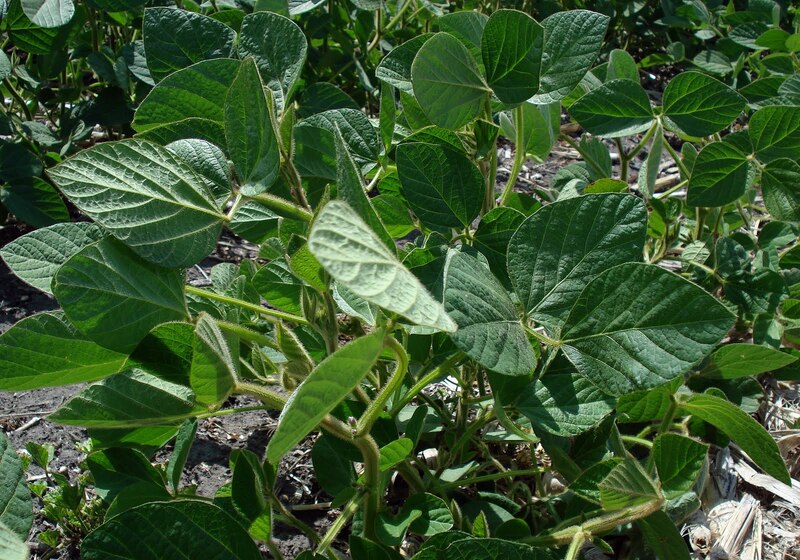 Above: Soybeans are another warm season crop that are behind schedule this year. Above: Mark Haugland (left) and Jordan Varberg (right), both from Bayer Crop Science, talk about InVigor hybred canola on the fourth and final stop. 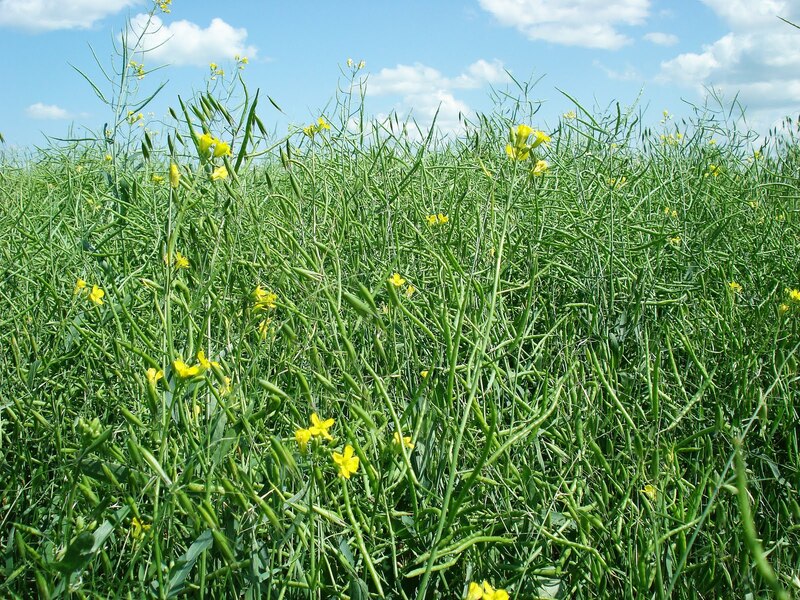 Canola is a cool season broadleaf and is an excellent set-up crop for winter wheat. 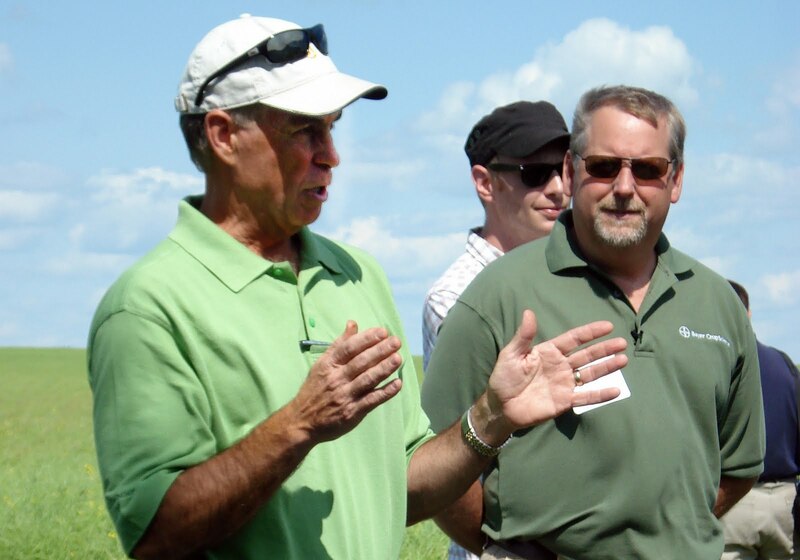 Above: Mike Hallingstad of Sharon Bean Company (left) talks about pinto beans, specifically the AdFarm pinto bean field, in the final presentation of the tour. Above: The pinto beans are starting to flower. 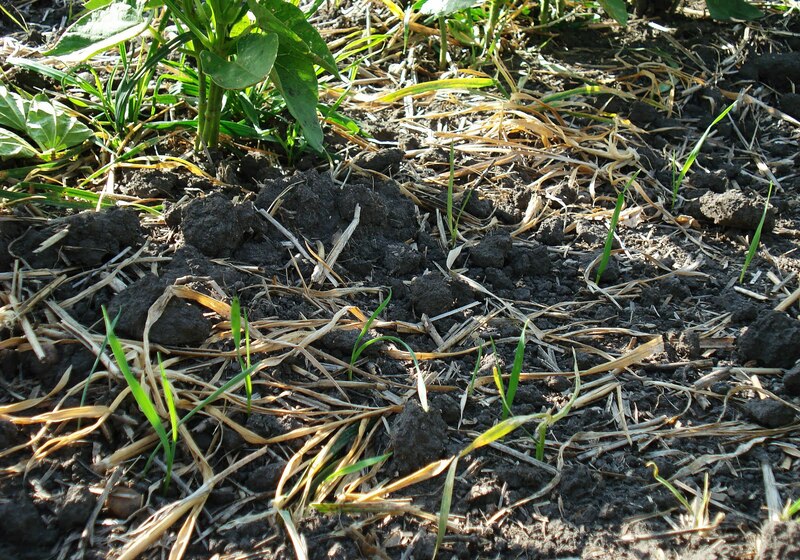 The plants are in a critical growth stage. 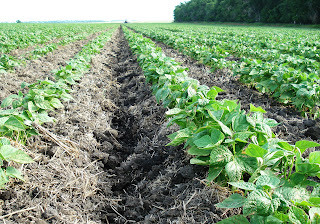 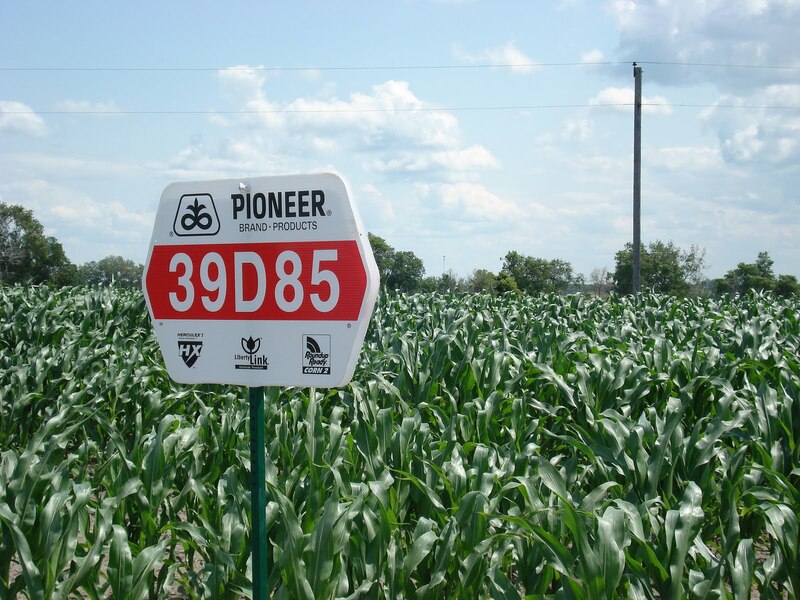 Rain will be needed for the crop to reach its potential. Above: Following the tour, we head back to the house for refreshments and PIE! 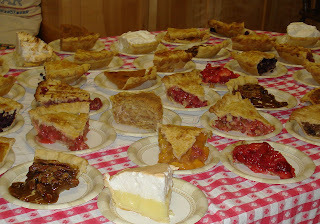 Jane made 19 pies for this event. 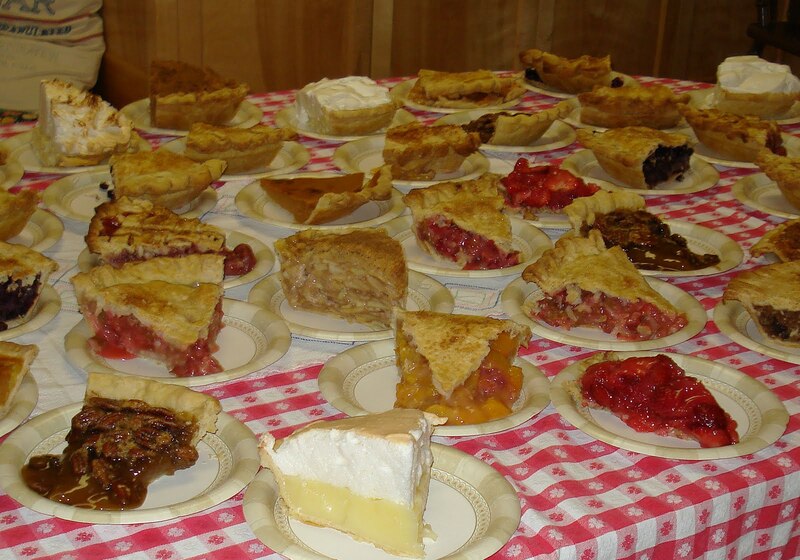 Above: Time to visit and enjoy pie. Above: Sheridyn Greenwalt, of the AdFarm Kansas City office, and Katie Pinke, AdFarm's director of new business development, enjoy their pie in the porch. 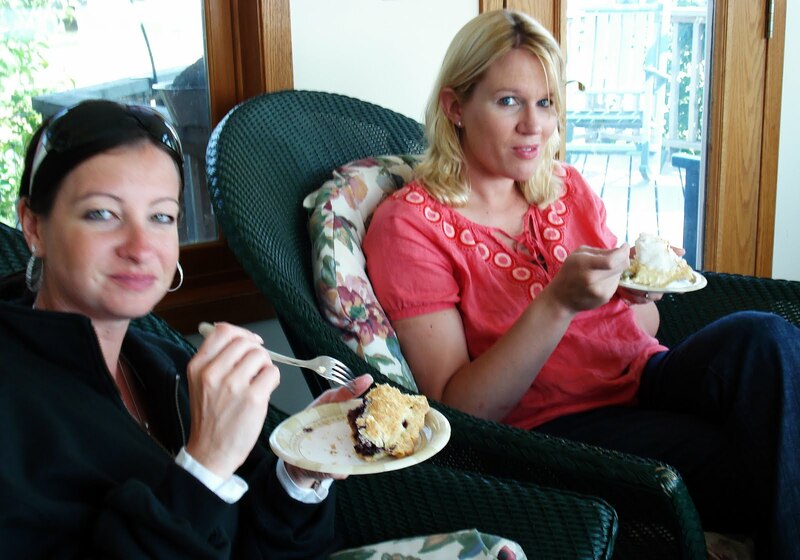 Above: Niece Elissa has a piece of lemon meringue. 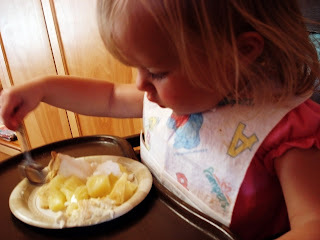 In her words, "num num!" 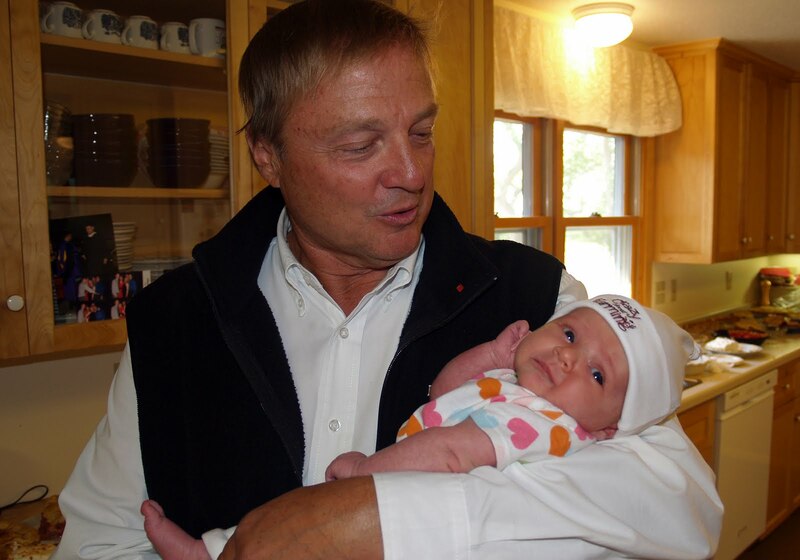 Above: Roger Reierson, Chairman and President of AdFarm, is happy to find niece Anika is crazy about farming -- enlarge the photo and look at her hat! 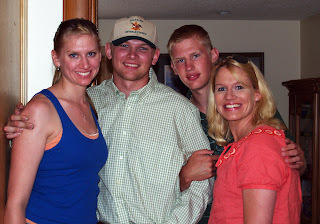 Above: The Lukens kids: full-grown friends. Above: The bins are empty and we are preparing for harvest. 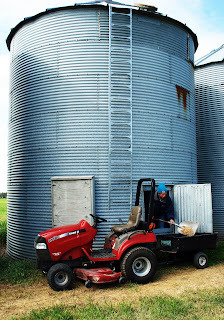 Bin cleaning rises to the top of the "to do" list. 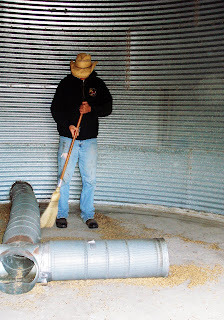 The stale smell of grain in a poorly ventilated, hot metal bin makes bin cleaning a chore that the guys tend to put off as long as possible. Now is the time. Our Case IH lawn tractor pulls the yard cart that is ideal for hauling the grain they find. 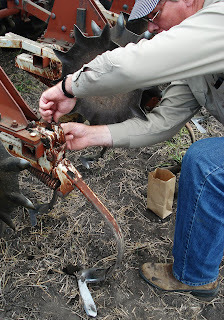 It is taken to feed livestock or to CRP ground for wild animals, depending on the quality of the product. 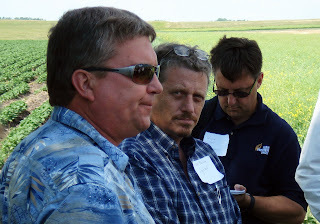 Above: Yes, Joe is wearing a stocking cap and jacket in July. 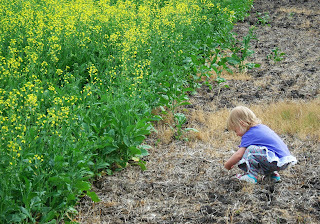 We have had below normal temperatures this summer and many cool mornings. This is the best time to clean the bins. 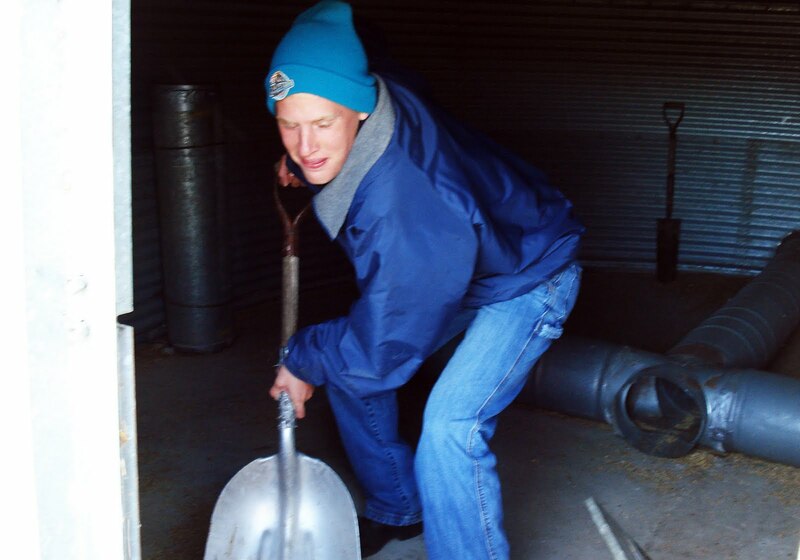 He is demonstrating how to properly shovel the grain, using his legs and not bending his back as he scoops. Above: Rob uses a broom to remove grain that Joe can't get with a shovel. 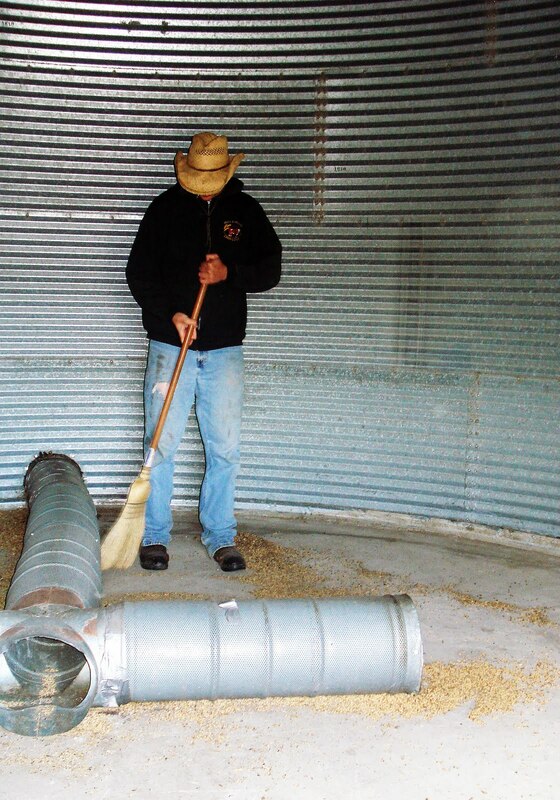 The tubes on the floor of the bin circulate air to dry and cool the grain for safe storage. We have over 40 bins to clean each year, which takes about 60 hours, or an hour and a half for each bin. 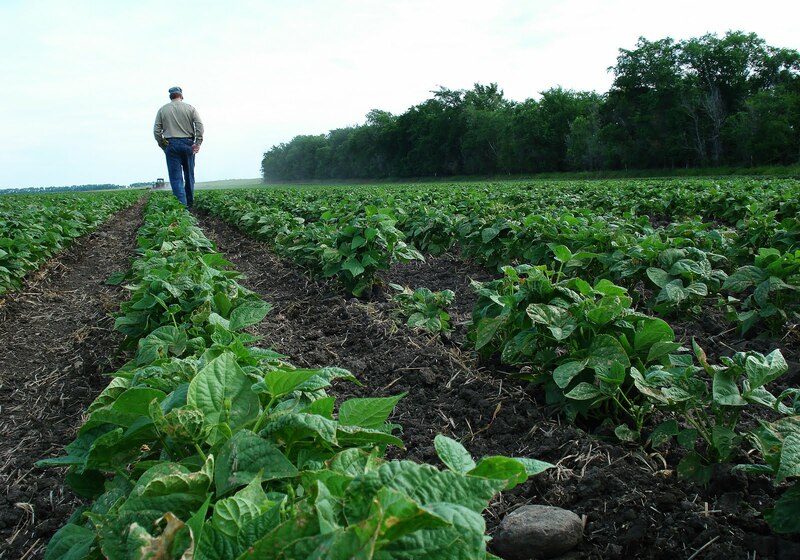 While harvesting, we work hard to bring in a clean, top quality crop. 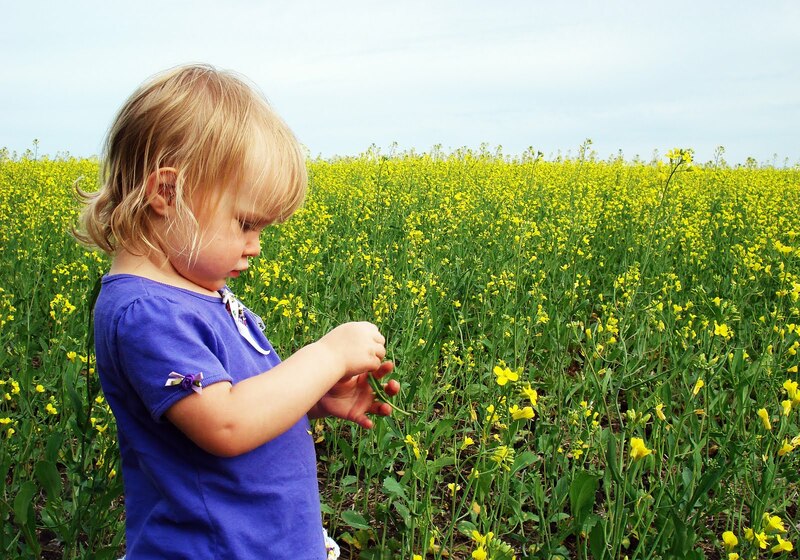 The bin we store it in must be free of contamination. 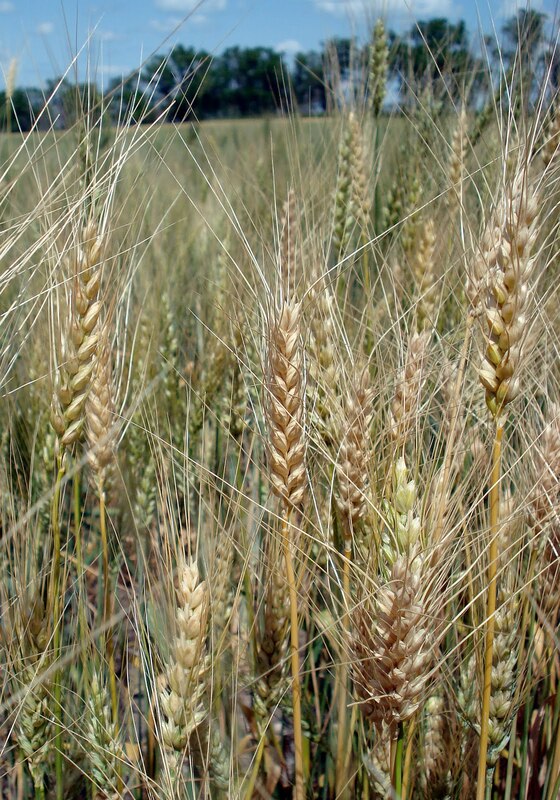 The bin that stored last year's wheat may store seed soybeans this season. 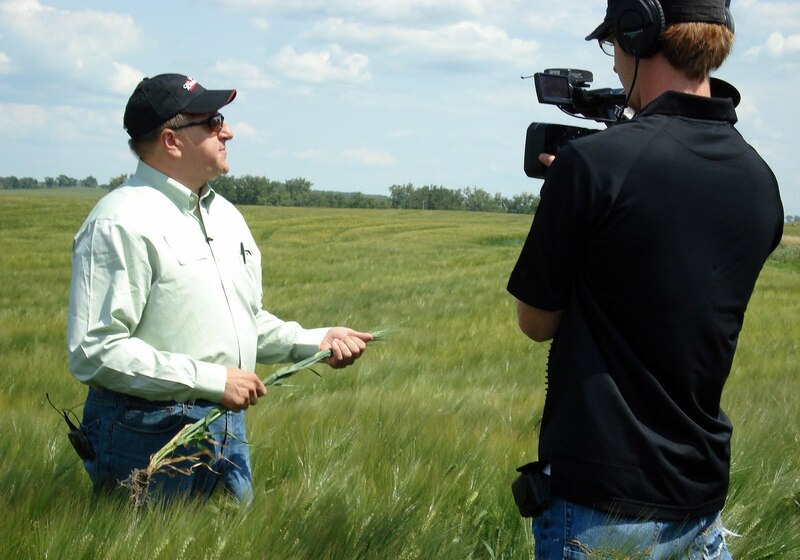 When selling our grain, insect infestation, mold and disease lowers the price we get paid. Properly cleaning helps reduces the chance of poor grain at the time of sale. 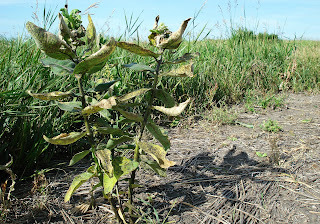 I found an interesting article on NDSU's agriculture website the discusses how to best clean your bin to prevent insect invasion. 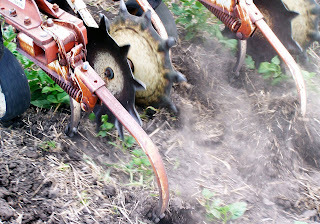 Above: Fred is on AdFarm's Pinto Bean field, cultivating between the rows to remove weeds and create ridges. 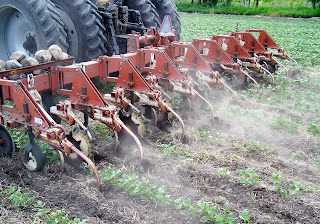 Above: A back view of the 8-row cultivator. 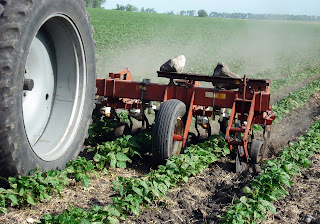 Note the rocks sitting on top of the cultivator on the left side. The operator places the rocks there when he finds them in the field. It is especially important to remove rocks from pinto bean fields because the seed pods are close to the ground and any remaining rocks can cause problems during harvest. 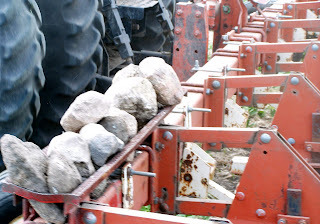 Above: A close up view of the rocks on the cultivator. 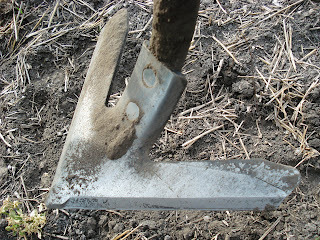 They will be put into a rock pile at the end of the field. 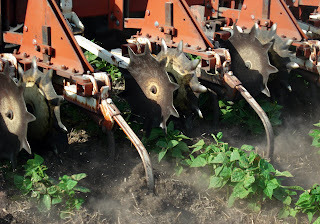 Above: The delicate plants stay protected from the overturned dirt thanks to the rolling shields protecting each row. 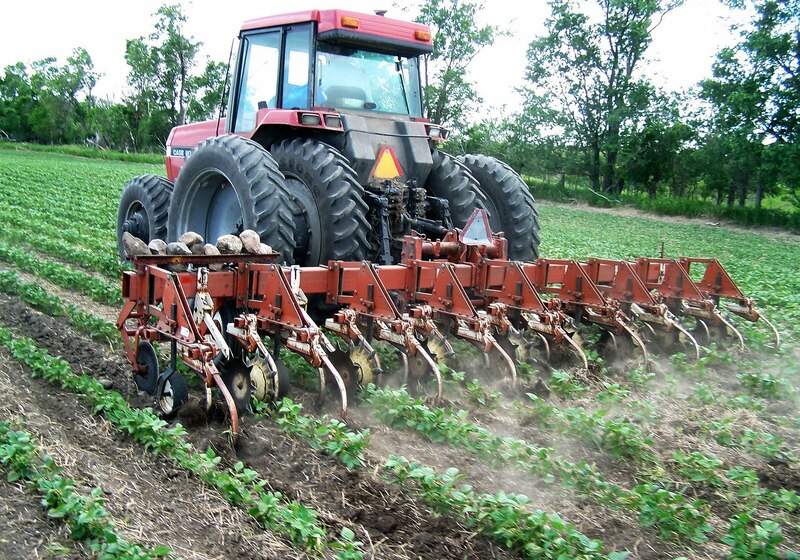 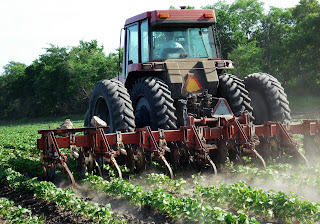 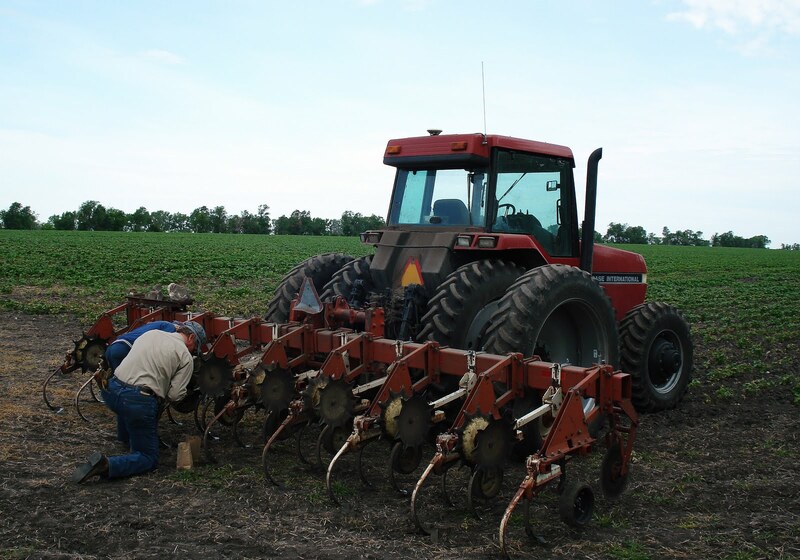 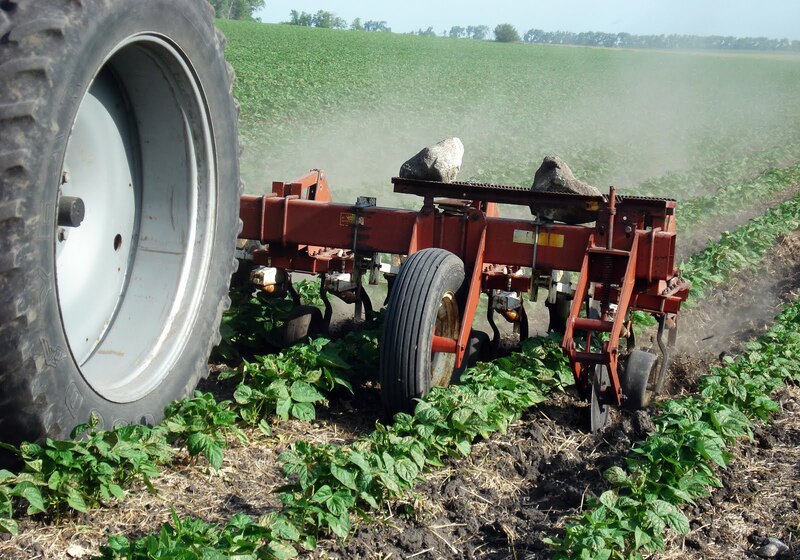 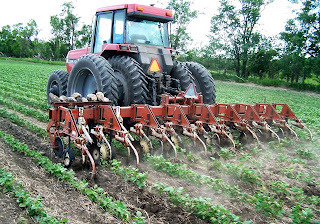 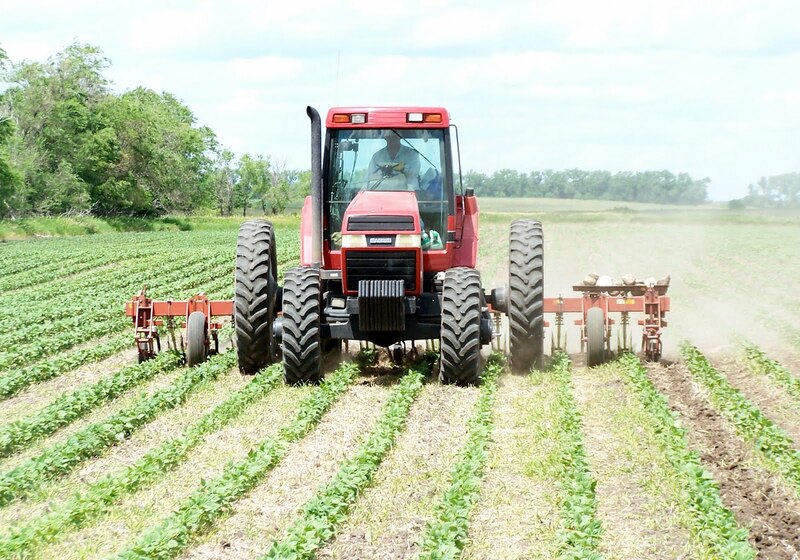 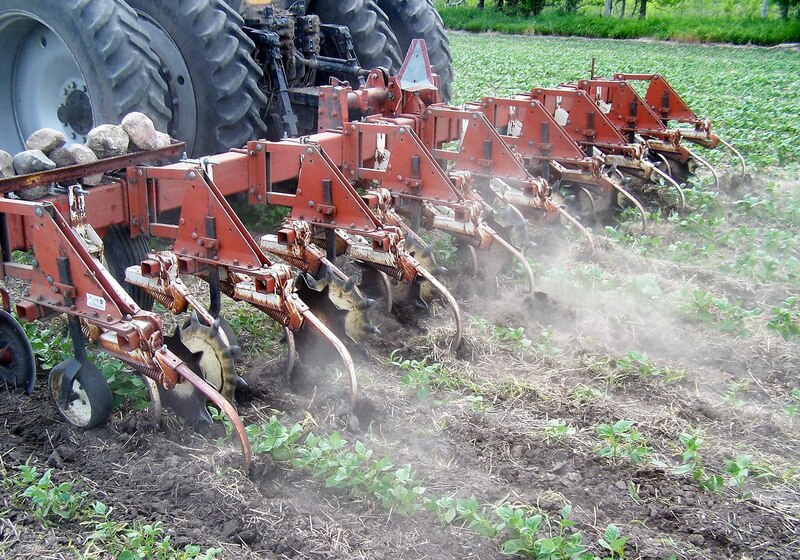 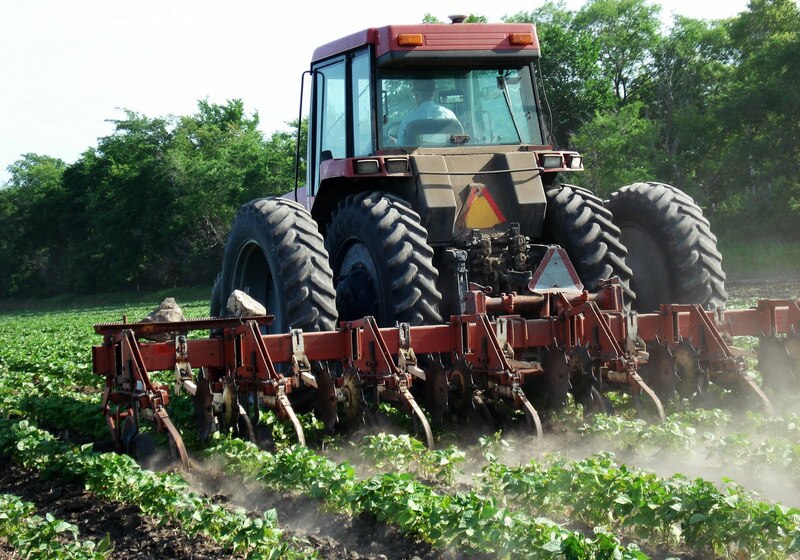 Above: It is important for the operator to drive strait while row-crop cultivating. 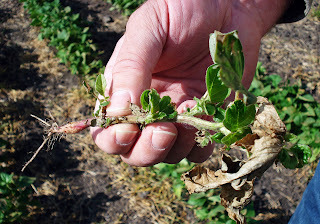 A misstep results in dead pinto beans. 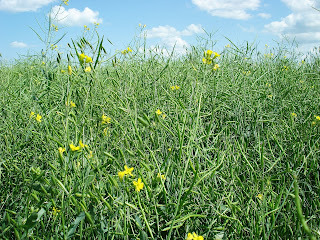 Above: The delicate yellow flowers on canola plants have a sweet scent. 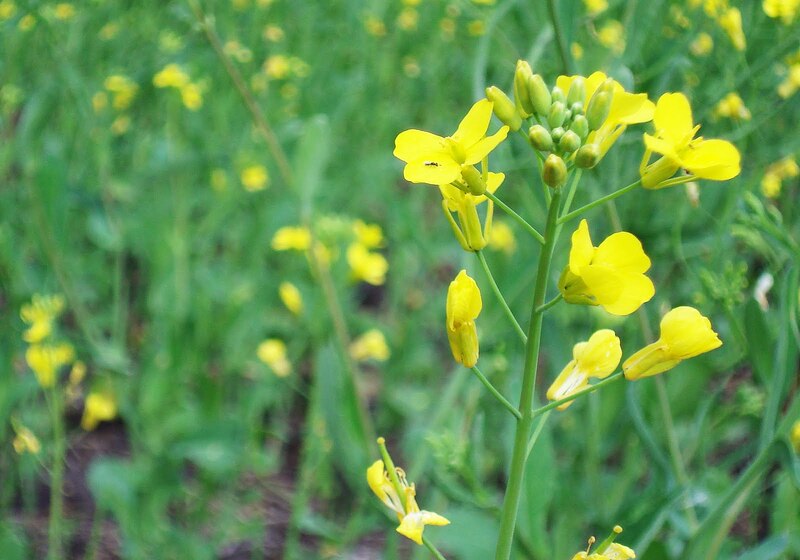 They attract honey bees and other bugs. A small insect can be seen on the flower when the photo is enlarged. 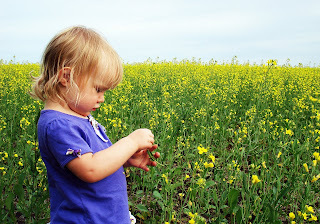 Above: Niece Elissa examines a canola flower. 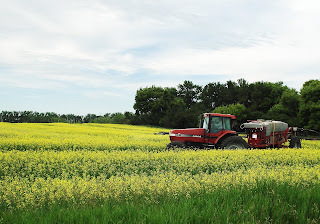 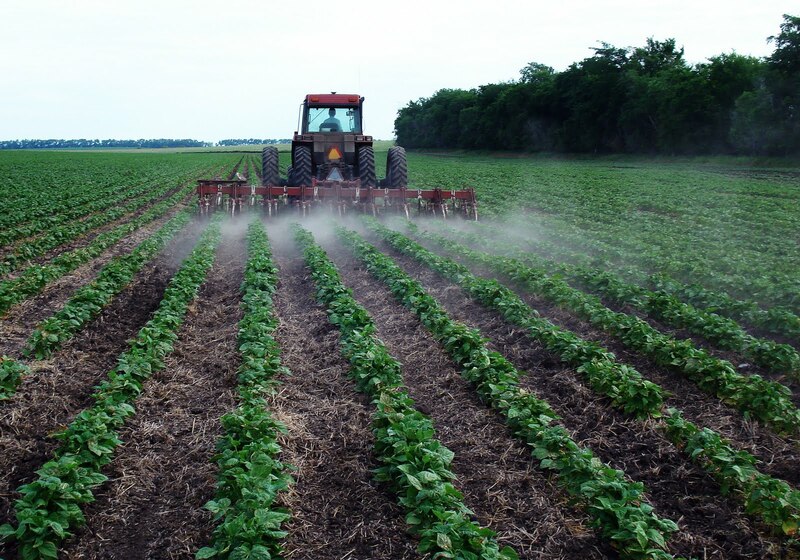 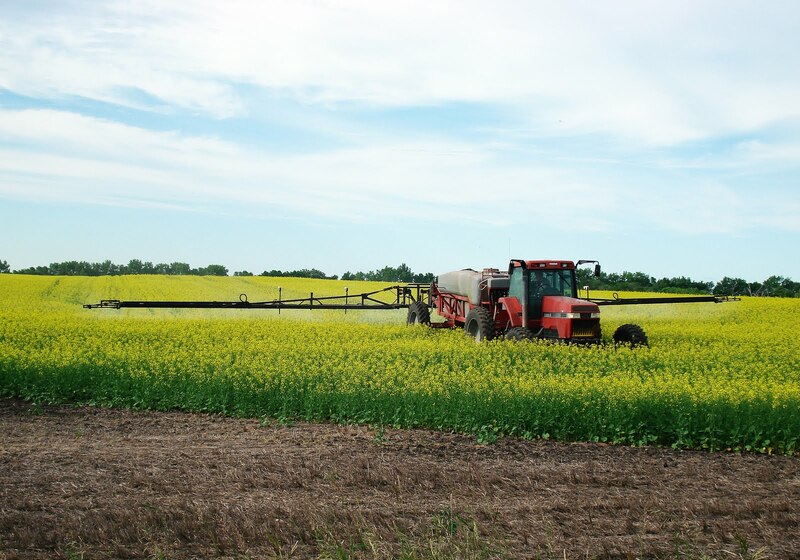 Above: Fred is spraying the canola field with fungicide using our Redball sprayer behind the Case IH 8930 tractor. This is the same spray system we used spraying wheat. 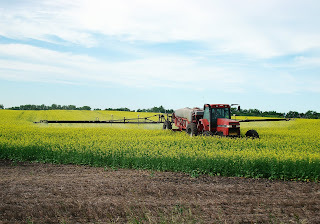 Above: We are spraying the canola in the early flowering stage to prevent white mold from forming. 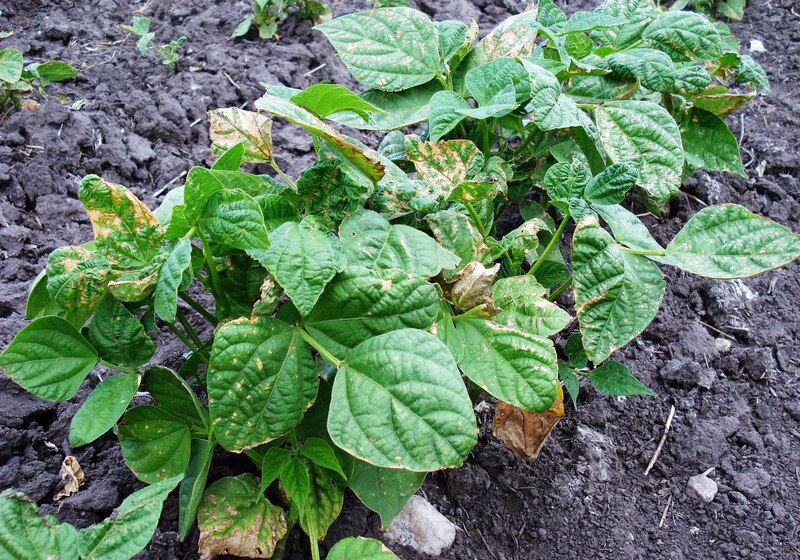 It is important to get the fungicide onto the flower petals so when they fall to the ground they do not become a place for the mold to grow. 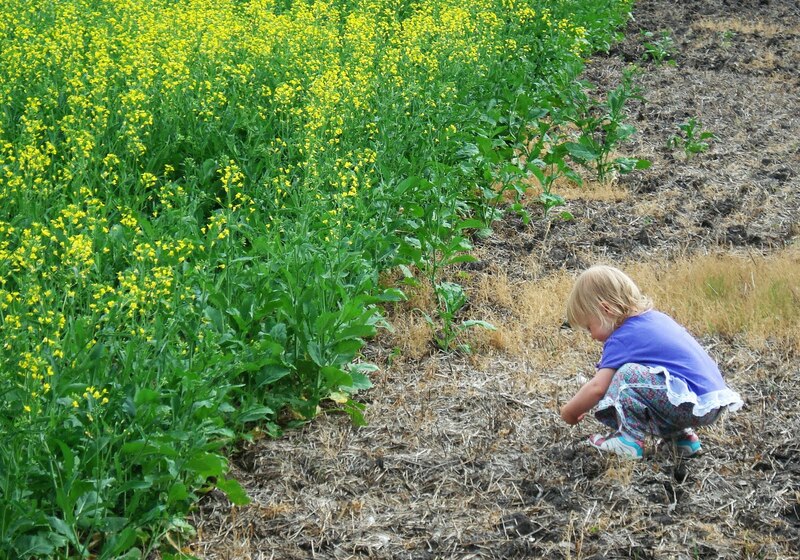 Above: Elissa plays in the dirt -- don't we all.